Villa Sammasan looks out over the Andaman Sea from its a lush hillside perch, just a few moments’ walk from the soft sands of Surin Beach on Phuket’s scenic west coast. 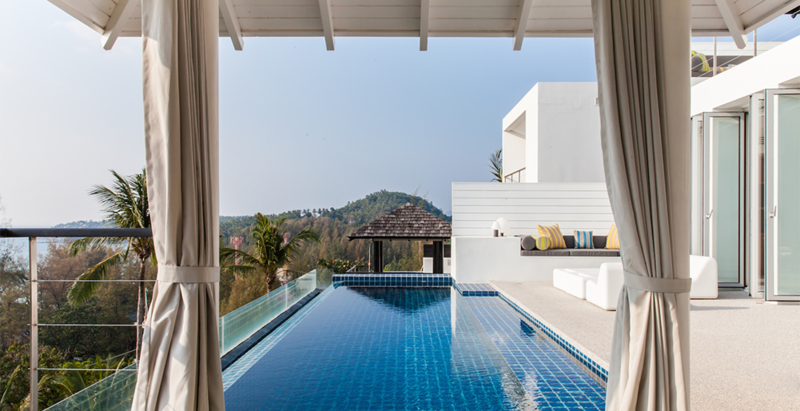 One of eight villas in the exclusive Surin Heights estate, this three-bedroomed villa offers ocean views from every room, and from its 9-metre infinity-edge pool and poolside relaxation sala. Award wining interiors are accented with striking modern artwork and bright furnishings and fittings. Staffed with a villa manager, chef and team of housekeepers and close to many good restaurants and shops, Villa Sammasan makes an ideal Phuket holiday choice for families. It is located right next door to Napalai, combined very suitable to families.